… a blog for which the world is not yet prepared. I'm very disappointed that you have decided to back the "Gang of Eight" immigration legislation. As Byron York pointed out in his Washington Examiner column yesterday, you are obviously breaking the 2010 campaign promises on which you were elected. This is all the more sad given your courageous stance on gun control back in April. I hope it's not too late for you to re-examine this issue, remember your promises, and change your mind. Addendum: A lot of my libertarian buddies are dropping their normal healthy skepticism of thousand-page "comprehensive" legislation that nobody's read or understands. This is one of the rare times that my conservative side wins out over my default libertard. For more arguments, go to Kausfiles and keep scrolling. The NR editors also criticized Senator Ayotte here. 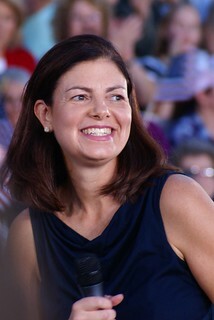 Disclaimer: I probably won't stay mad at Senator Ayotte. I mean, how can you?